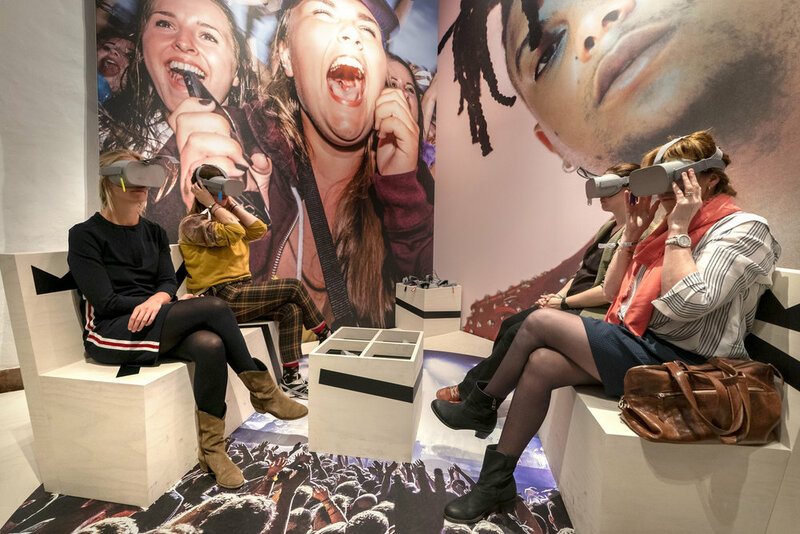 Last week was the kick-off of the “Mojo Backstage” exhibition at the Museum Prinsenhof Delft where we had the opportunity to create a unique 360° 3D experience for the visitors. By wearing a VR headset visitors witness Ronnie Flex being interviewed and join him on stage during a concert. Ellen Borger, the director of the exhibition said: "We had a wonderful kick-off event and last weekend was great! The visitors like the 3D experience and the instructing students find it easy to explain."